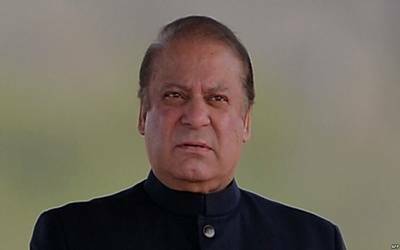 The Pakistan Supreme Court has extended the deadline given to an accountability court for the completion of trial in corruption references against former Prime Minister Nawaz Sharif, his daughter and son-in-law. A two-judge bench, headed by Chief Justice of Pakistan Saqib Nisar, on Sunday also allowed Sharif and his daughter Maryam Nawaz to visit his ailing wife Kulsoom Nawaz in London, reports Dawn news. Taking up an application moved by Judge Mohammad Bashir of the accountability court, the court granted a one-month extension to the trial court. The previous deadline given to the court for concluding the trial expired on June 9. Appearing on behalf of Sharif, Advocate Khwaja Harris said that at least six more weeks were required to complete the proceedings. In March, the Supreme Court had granted a two-month extension to the accountability court to conclude the proceedings, Dawn reported. However, the trial court failed to complete its proceedings within the given timeframe. Finally, the apex court gave a one-month extension to the trial court enabling it to complete the proceedings by June 9.